Is it too much to say ‘fallen comrades’? 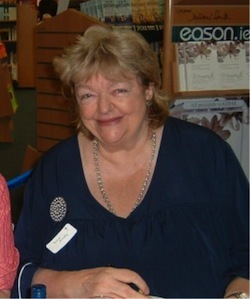 Over the past couple of days we have lost Maeve Binchy and Gore Vidal. I don’t think I can add anything to obituaries and tributes published elsewhere, except to say that the loss of literary masters and mistresses reminds us very clearly that life is a loan and payback day comes around. Vidal’s Julian is on my to-read list and I mean to get to it soon. Meanwhile work continues. The sonnet anthology The Phoenix Rising from its Ashes is moving ahead slowly. Due to unforeseen difficulties I have been asked to take over a task from the Editor-in-Chief. I’m sorry that progress seems to be glacial, but that’s the way of publication as I know from my own projects (about which more later, hopefully). Meanwhile the printed ice-cap continues to melt in the heat of E-publishing’s global warming. I feel like a polar bear. The image of Gore Vidal is from a photograph by David Shankbone.